Healthfood Lies. How their clever marketing is deceiving you! Today I was speaking on Facebook Live about the marketing of “health star ratings” and shared my opinion whether certain foods are healthy or not. Something I want to highlight here. “Food” from a packet will never be as healthy as food in its original whole food state. Coconut oil (Macro brand) has a 0.5 health star rating, whereas Weet Bix have a 5 star rating and MILO has a 4.5 star rating. ugh. Blatent lies people!! If you do a quick Google search about the health benefits of coconut oil, you’ll find many cultures across the world utilise coconut in its many forms and have amazing health as a result. Take one study performed on women who live in the Philippines. They tracked the women’s cholesterol levels since their saturated fat intake was so high. Guess what?! Their cholesterol was remarkably lower than the standard Western population of women who consumed no coconut oil. Yes, there may be other factors involved, but I can assure you that coconut oil in its whole form is indeed a HEALTH FOOD! 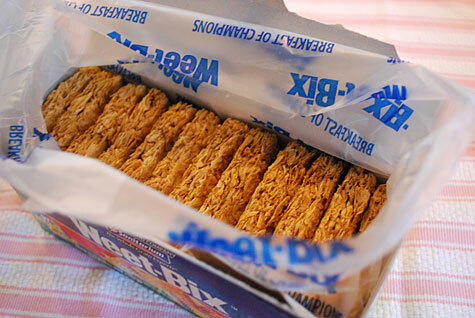 Weet bix on the other hand is made of Wheat, sugar & salt. Then they fortify the “biscuits” with artificial vitamins and minerals that are lost during the refining process. I’ve seen it SO MANY TIMES. Woman comes in to see me. Says she is bloated everyday. I suggest skipping the wheat for a couple of weeks. Voila! No more bloat. Our human tummies just cannot handle wheat in this form. It’s highly inflammatory and doesn’t provide the body with much nutrition at all. Don’t believe me? Try it for yourself. MILO. Where do I start?! It contains 8.8g of SUGAR in each 20g serve. It’s almost half refined sugar and it is marketed as a health drink. It too is fortified with artificial nutrients as a cover up for its complete lack of nutrition. I would recommend if you’re a choc drink lover, then learn how to use raw cacao with unrefined sugar / raw honey. Need something sweet? Have a piece of fruit. It will provide you with so much more than anything you find on a supermarket shelf. What do you think about these “health stars”? We need a lot more insgihts like this!